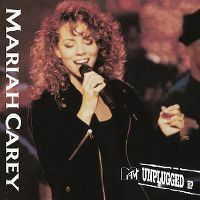 90's was Unplugged era.....so many artist released unplugged album in that period, especially at the begining of the decade. After Nirvana's unplugged this one is my favorite! Why? 'Cos I think Mariah did it great vocally....especially on "Vision of Love" and "I'll be There"! So, totally awsome live album. Mariah hat ne super Stimme, eigentlich die beste! Die Songs sind live gesungen, ohne jedoch einen falschen Ton!! Einfach grandios, auch wenns mit 7 Songs so schein als obs sich das Geld nicht lohnt...es lohnt sich nähmlich sehr wohl!!! Da kann ich nur 6 Sterne geben - Great in every way! Ihre Stimme ist einfach der Wahnsinn, die ausgewählten Songs sind auch stark!